Not unlike a few weeks ago when Doctor Who finally reappeared on our screens, I went into tonight’s episode with a lot of trepidation. After (what I felt was) such a strong opener, I was really wondering what could possibly follow such an epic two-parter. And, knowing that Toby Whithouse had penned the next two installments had me on edge as well. You may remember that Toby penned School Reunion—the story that re-introduced us to our beloved Sarah Jane Smith—all the way back in Series 2. He also gave us The God Complex in Series 6, and A Town Called Mercy in Series 7. I’ll leave you to make your own guesses as to why this made me a bit nervous. Fortunately, all my anxiety was for nothing. I was immediately sucked into the story and found myself falling in love with it. It pushed exactly the right buttons. First of all, if you’ve seen me talk about the Patrick Troughton era Cybermen stories, you already know that I freaking love base under siege stories. I don’t care if you think it’s an overused trope. It works for me. Better still, not only is it under siege, it’s also under water. That extra potential for disaster just makes it even better. The set design here is rather gorgeous, I think. The base is also almost completely run by computers, enabling the enemy to take control of the system and turn the base itself against the surviving crew. And to cap it off, the base is stationed at the bottom of a lake that is actually a flooded military training ground. Perfect. Second, it’s got scary ghosts. Pallid complexion. Eyes removed. 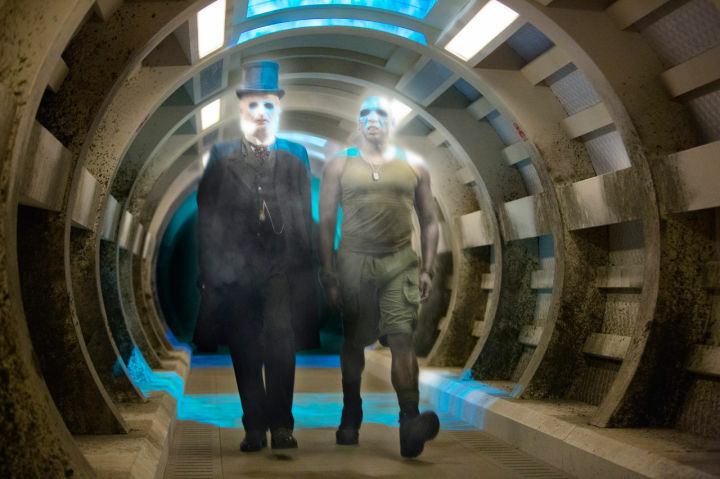 The original ghost reminds me a bit of the Whisper Men from The Name of the Doctor, only creepier. They look absolutely fantastic. And they are constantly speaking, even though we can’t hear them. How fortunate that they had a Second-in-Command who could read lips. The mystery around who they are and what they want only grows through this first installment as we gain more clues. And whatever we think the answers are, we’re probably wrong. Next, the crew is a relatively small one, and we get to know a little bit about each of them. There aren’t a ton of names and faces to keep track of, and we aren’t forced into learning massive amounts of backstory in order to care about them. This is a huge change from classic era stories like The Wheel in Space that had a massive crew, and even more recent ones like The Rebel Flesh/The Almost People where the crew wasn’t enormous, but each person had a double. I think even television should stick to the audio play rule of keeping the cast small. It’s just better that way. 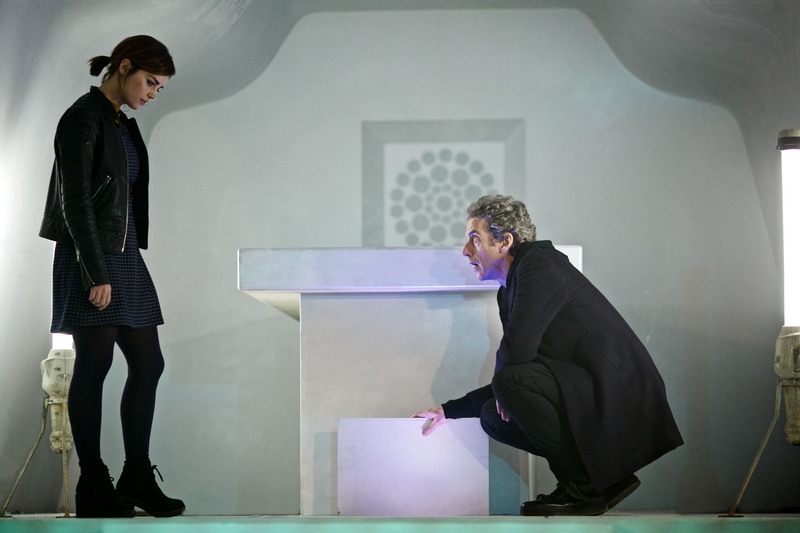 The interaction between the Doctor and Clara is lovely. It may not be as prominent in the story as it sometimes is, but this feels very real to me. This is the Doctor and Clara just out on another adventure with no major mystery looming over their heads that takes us or them out of the current action. * They’re relaxed around each other in a way that they haven’t been in a very long time. Yes, their love for one another may be sort of ridiculous and complicated, but they obviously know each other better than anyone else in the universe. And I think we see that in the way they interact. He’s not testing her and she’s not babysitting him. They’re just best friends again and I adore that. I’m not sure I can really talk about the look on her face when she realized who the new ghost was at the end, though. Even if you called it before it happened, that’s still one hell of a cliffhanger. 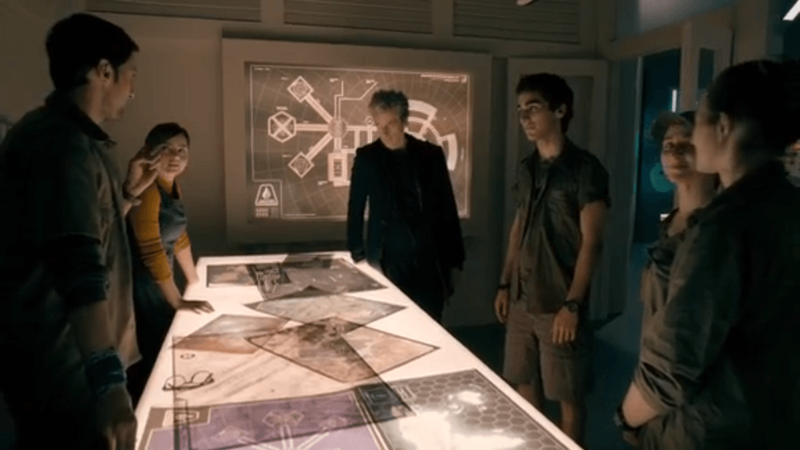 Overall, I think this was a fantastic setup and I’m can’t wait to see how this all plays out in Before the Flood. The only thing I would ask for part two is to have more Clara. 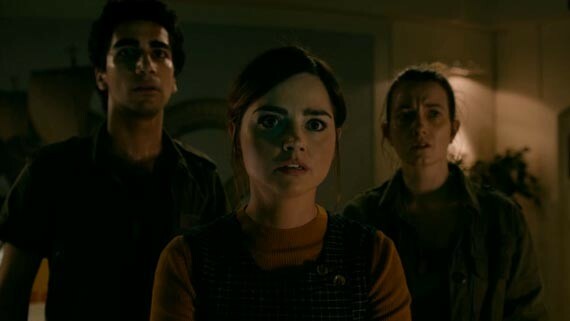 I felt she was sidelined a bit in this episode, but as she’s now trapped with her own team—and with the Doctor sort of dead—I suspect we’ll get more of her next time. What did you think? Are you bored with the base under siege stories? Or do they still work for you? Are you happy to have the multi-part stories back? Let us know! 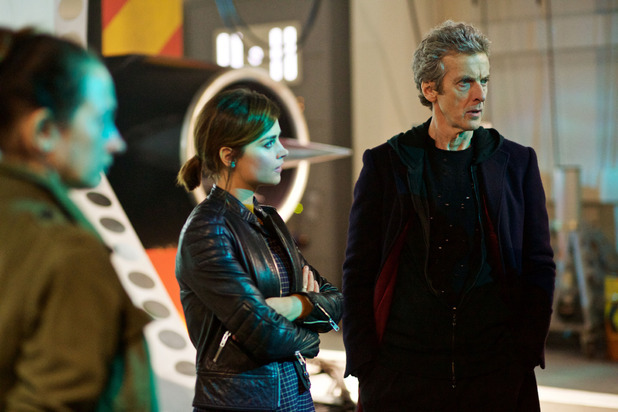 * Yes, I know the major mystery at this point is really just wondering when Clara is leaving. But as I’m not in any rush to get there, I’m not going to think about it. I’d rather be surprised then prematurely sad. ** Even though I did get very strong vibes of Doomsday, 42, The Girl Who Waited, and Deep Breath (and probably a few others). But actually, I’m fine with that.